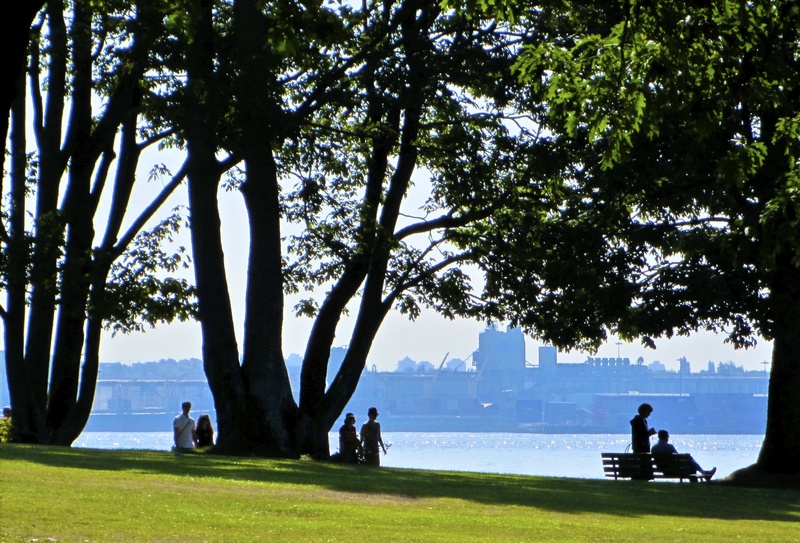 Thirty five per cent of Vancouver’s population is foreign-born (the highest figure for a city in the world). It has the highest proportion of Asians in any North American city. Greenpeace was started in Vancouver – just in case you thought it was started by vegans in San Francisco. 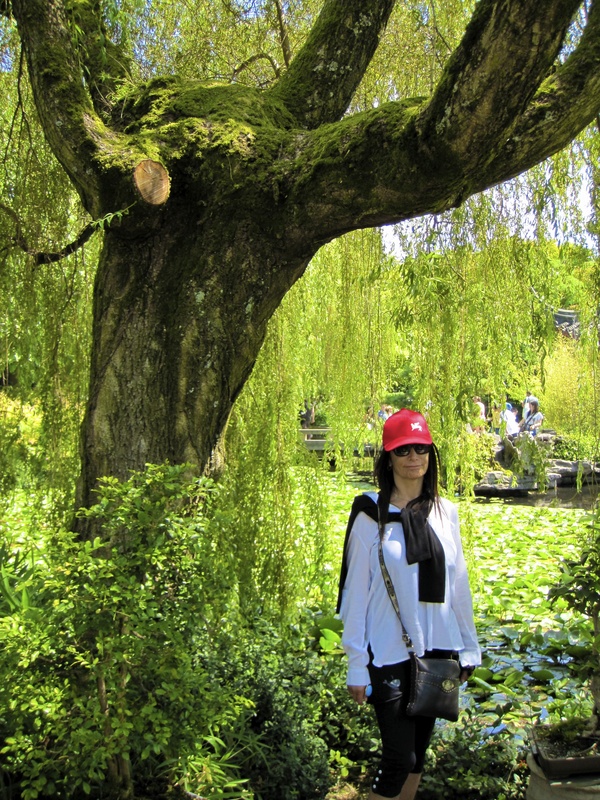 Sun Yat Sen Gardens (named after the Chinese revolutionary) were the first authentic classical Chinese gardens ever built outside of China. 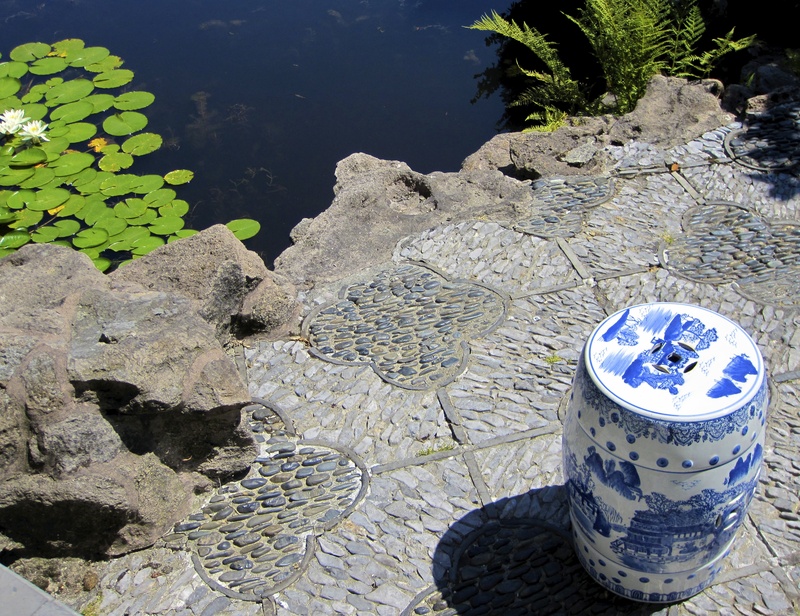 Chinese gardens employ principles of Feng Shui and Taoism, to achieve harmony and a balance of opposites. Craggy rocks, for example, are juxtaposed against delicate foliage. Water is also an important element of the garden. It is an oasis of peace in the beautiful city. 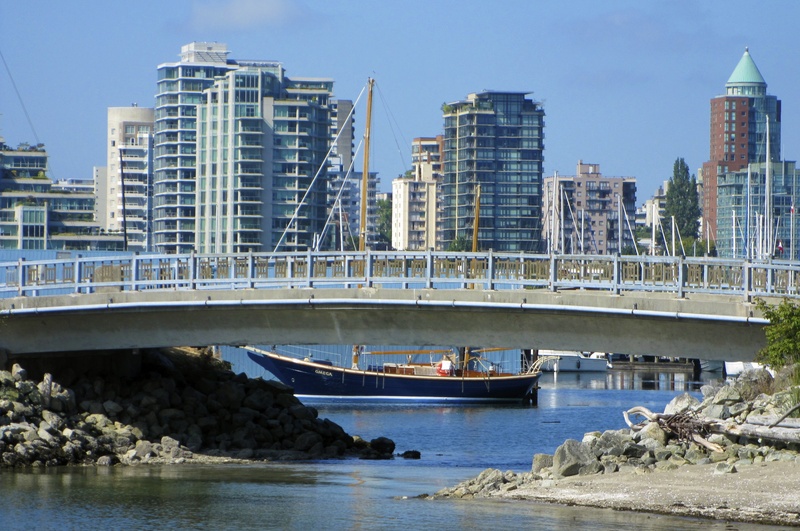 Vancouver ranks third in the world as the best city to live in. This is a great eating city. Their specialties are seafood, local cheese and fresh produce. There is excellent Asian food as well. 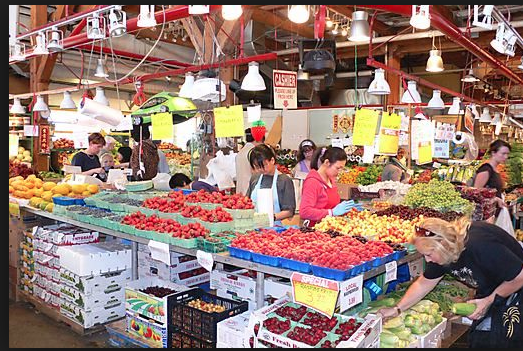 Don’t miss the Granville Market which is an entire island near downtown filled with crafts, farmer’s market, and specialty food vendors. 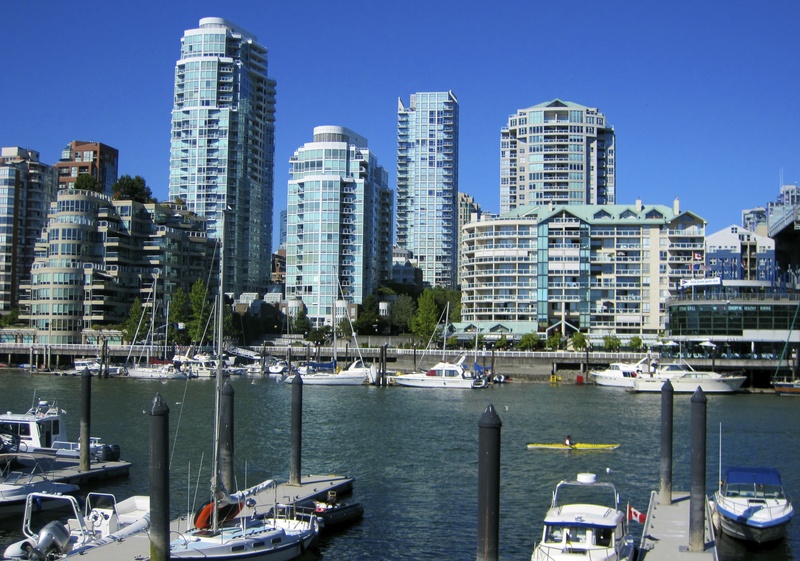 Vancouver has the highest real estate prices in Canada. 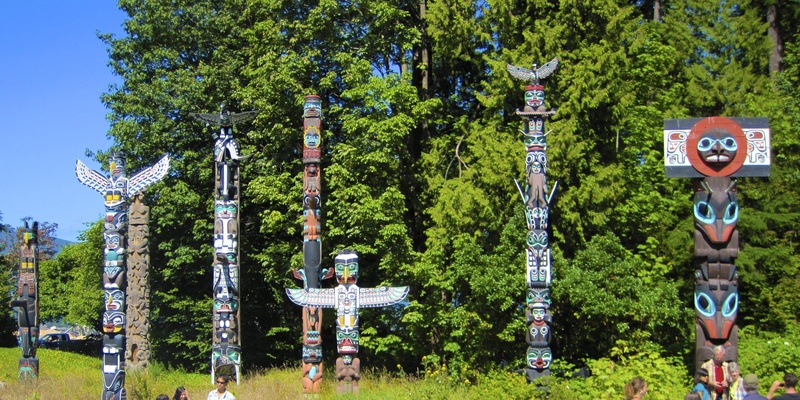 Stanley Park is Vancouver’s largest and much used park. 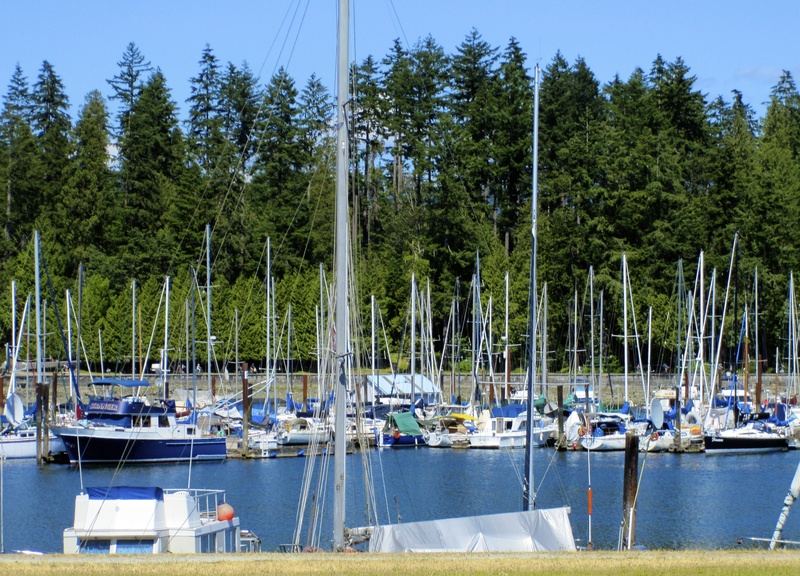 Set against an urban seawall there are miles of trails, bike paths, beautiful beaches, gardens, monuments, sculptures the first nations totem poles., local wildlife, food, natural, cultural and historical landmarks. You can’t buy beer or alcohol in the grocery store. 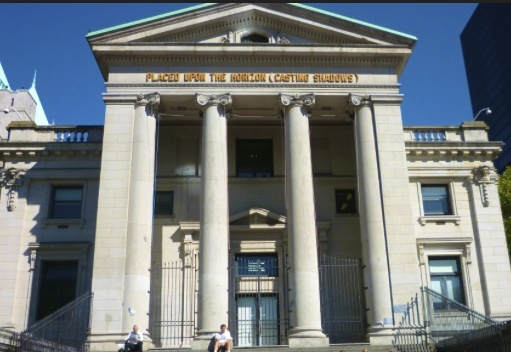 The Vancouver Art Gallery (VAG)) is the fifth-largest gallery in Canada. Its permanent collection is about 10,000 pieces. . There are always interesting exhibitions as well and is a nice break from all the outdoor activities. 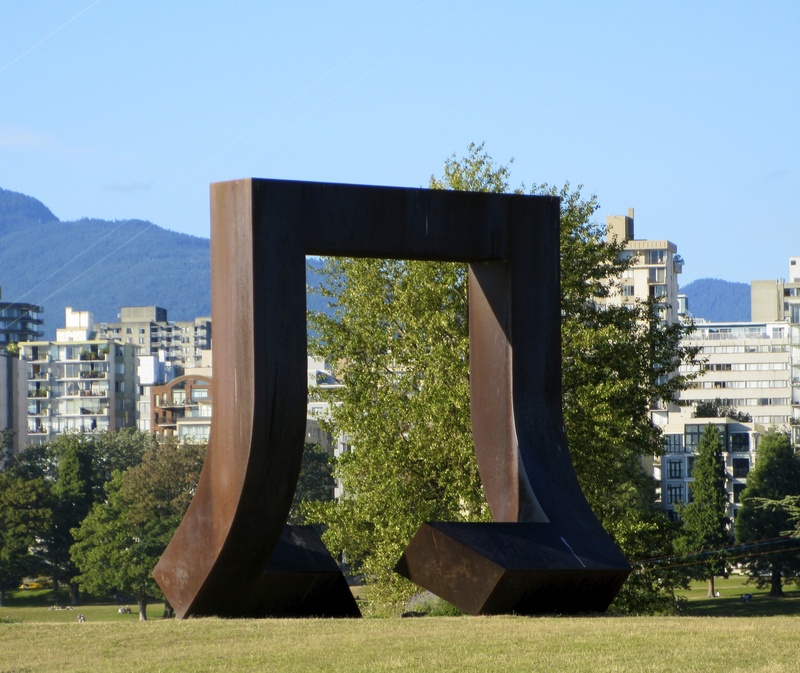 Vancouver is the second or third largest film production centre in North America. It is second to LA in television production & third behind LA and NY in feature film production. This is due to favorable tax concessions to the industry, the year round mild climate, and Vancouver’s wide variety of locales. Most productions are American. Most Canadian productions are in Toronto. The Twilight Saga was filmed in Vancouver. 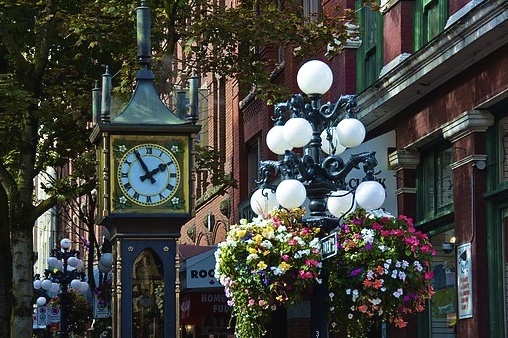 Gastown was the first settlement in Vancouver. Today it has a lot of tourist shops, First Nation galleries, and pretty street lights. The main activity seems to be taking a picture of the steam clock. The city has less than fifty murders a year. Some of them are criminals killing other criminals. You can’t make this stuff up. This entry was posted in Canada, North America, travel, Vancouver and tagged Canada, Gastown, George Vancouver, Granville Market, Greenpeace, Opening to Northwest Passage, Stanley Park, Sun Yat Sen Gardens, Twilight Saga, Vancouver, Vancouver Art Gallery, Vanier Park by jaynezak. Bookmark the permalink. Did you take these pictures? They’re amazing! I love that you noticed I learned aperture the photo editing program and this is the first time I used it!!!!! Jayne, As always your fact finding and collection of traveling nuances make for an interesting read. You set a huge desire to travel into ones heart, and inspire to experience these places of the world. Thank you for that Jayne. Your one of a kind! CIG? thats funny. Thanks for reading this. You’re welcome. Sorry for the double post, it didn’t look like it had gone through. Your travelogues make great travel reading. I’ve found myself saving them and reading them in airports and on tarmacs.